If you are planning your next trip in the country, you might already be thinking about how you are going to reach your destination. Sure, the plane is probably the first thing you will think of when presented with travel, but what about taking the car? Car travel is a great way to travel more flexibly and also at your own pace. 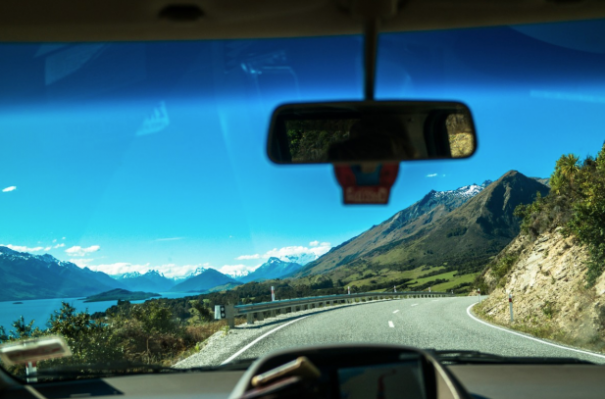 Whether you hire you and your friends a minivan, renault clio cars, or simply take your own: car travel can be the best way to travel, and here’s why. The beauty of travelling by car is that you don’t have a schedule. If you wake up late, that’s fine. If your kids get 10 miles and need the bathroom, that’s fine. You are totally in control of your journey and this means that you can take as many stops as you need, change your route if you see something interesting and even go for food when you get hungry. Planes and trains don’t give you much space to relax at all, but in a car you will have much more leg room and strangers won’t be there. You won’t have to deal with people trying to talk to you, or a creepy old man trying to look at what you are doing. You don’t have a weight limit if you travel by car, because it’s your car. Take as much stuff as you want without being charged a penny. If you fancy taking the kitchen sink with you, take it! As long as you’ve got room in the back on the car, you have no limits when it comes to luggage. Make sure you pack for every weather though! There is no guarantee that you will be sat with your family or friends on a plane or a train. At least in the car you have your own private bubble where you can all talk and enjoy each other’s company. And if you start missing home or need to talk to your family back home, you can simply call them in the car and catch up as you go. It is much easier to stay in touch when travelling by car. Have some fun blasting out yours and your family’s favourite tunes as you cruise down the road. You can sing at the top of your lungs and you won’t be judged by the people around you. There is always a risk when travelling on public transport that the area isn’t sanitary. If you think about the amount of people who pass through as well as people being ill, it just isn’t a nice thing to think about. However in your own car, you will be able to clean it before you leave and the only other people in there are your family members. It costs a huge amount of money to buy a flight, however if you decide to go by car you simply need to fill up the tank and you are done! If you want a cheaper getaway this is the perfect way to do it. ‹ What Do You Need To Venture Off-Road?